Disneyland Park, formerly known as Disneyland, was the first park at Disneyland Resort. It was rechristened in the nineties as the complex expanded and many more theme parks bearing the brand name were launched elsewhere. Disneyland Park was designed and developed by Walt Disney. He did not supervise nor design any other theme park of the brand. From the time it opened in July, 1955, to this day, Disneyland Park remains one of the most frequented places in Anaheim, California, among residents and tourists visiting Los Angeles. Disneyland Park has been expanded and renovated numerous times in the last sixty years. New Orleans Square was developed in 1966, Critter County which was earlier known as Bear Country was completed in 1972, then Mickey’s Toontown came up in 1993 and there is an upcoming Star Wars: Galaxy’s Edge, expected to be completed in 2019. Disney California Adventure Park, which was completed at the turn of the century, is at the exact site where the first parking lot was. To date, Disneyland Park has entertained more than six hundred and fifty million visitors. It typically records a footfall of more than fifteen million in a year now and regularly finds itself in the top three most visited amusement parks for most calendar years. There are innumerable things to do in Los Angeles but Disneyland Park remains one of the star attractions. The park is open from 9 a.m. to 12 a.m. There is a magic morning or extra magic hour from 8 a.m. to 9 a.m. There are different types of admission. You could opt for single day or multiday tickets, there are special events, annual passports and city passes. You can explore all these options and more in the tickets section. There are scores of attractions in the park, from rides and slides to obstacle courses and interactive adventures. You can check out the full list of attractions beforehand to plan your day. There are dozens of entertaining shows, experiences, displays and fireworks. There is no shortage of restaurants either, catering to everything from a plethora of munchies to fine dining. You may also want to embark on one of the special tours. Disneyland Park is approximately thirty-five minutes from Rodeway Inn Los Angeles if you take the shortest route. 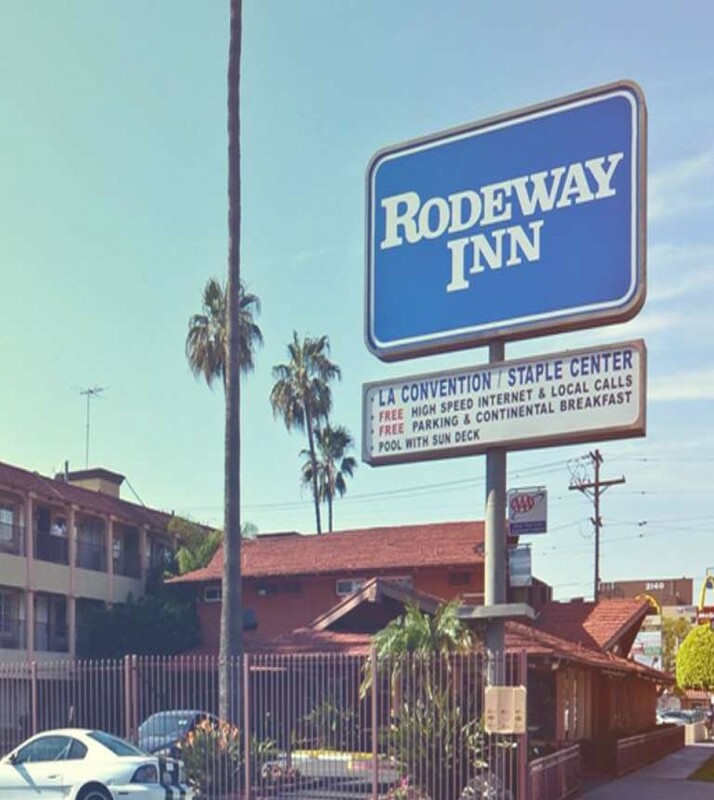 Rodeway Inn is a convenient address if you wish to explore Los Angeles and want a quick drive to the popular park. Book your stay at the hotel directly and get the best deal.